Hot Springs, located in the mountains of Western North Carolina and cuddled along the banks of Spring Creek and the French Broad River, is a town rich in history and beaming with natural charm. Whether you are searching for an outdoor adventure, a relaxing soak in a natural mineral hot spring, or an evening out with friends and family enjoying live music, craft brews and delicious food, you will find yourself refreshed and invigorated by the beauty of Hot Springs. Be sure to take a few steps (or more!) 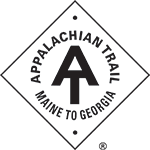 on the legendary Appalachian Trail (A.T.), which crosses through Hot Springs and draws thousands of adventure seekers from around the world every year. Come enjoy Hot Springs and leave in a Better State of Mind! Visit the Madison County Library, named “Best Small Library in America” by the Library Journal, and experience their top-notch customer service and community engagement, all done on an operating revenue of just $25 per capita! Cool off with a glass of iced tea while you relax in a rocking chair or sit by Spring Creek in the back yard of Trust General Store. Pick up some special souvenirs of original art, clothing and jewelry by local artists while enjoying fresh coffee at the Artisun Gallery and Café. Relax with a long, hot mineral bath after your A.T. hike! Countless weary travelers and locals alike have been taking comfort from the naturally warm mineral waters at Springs Resort & Spa for countless years. Quaint cabins are also available for overnight guests. Learn about everything from Christmas trees to mushrooms and in between things such as vegetables, heirloom apples, blueberries, perennials and ferns, by visiting Elk Knob Farm. Using organic methods, all their farm practices are natural without the use of chemicals and harmful agents. Specially tailored educational visits and overnight accommodations can be arranged. Visiting Hot Springs in autumn will provide an opportunity to catch breathtaking views of the Appalachian Mountains fall foliage. Hot Springs is a great base camp for hiking enthusiasts, with dozens of miles of backcountry footpaths only a short walk or drive away. Hot Springs features a variety of landscapes to view and enjoy, from rolling pastures to rugged mountaintops. The Lover’s Leap Trail offers a dramatic view of the French Broad River and the town of Hot Springs. It ascends onto a rocky bluff overlooking the French Broad directly across from town. It highlights not only the rugged beauty of the valley, but also the biological diversity that the area is well known for. The trail is a short walk from downtown, so the best parking can be found right in town. As you cross the resort, then the French Broad and then ascend onto the rocky promontory, you can see most of the major features the area is known for. This hike is easily accessible. Park in any of the convenient public parking areas in downtown Hot Springs, walk to Bridge Street and turn towards the railroad tracks. The A.T. follows Bridge Street through town as you walk past the famous naturally warm mineral waters of Hot Springs Resort and Spa. Lover’s Leap Trail offers a dramatic view of the town and French Broad River. As it ascends onto a rocky bluff, you can view the rugged beauty of the valley and the biological diversity for which the area is well known. Look for Canada Geese on the lawn, and hawks and even eagles soaring overhead. Cardinals, Song Sparrows, Chipping Sparrows, Robins, Orchard Orioles, House Finches, House Sparrows, Starlings, Pigeons, Chimney Swifts and Rough-winged Swallows also abound. Cross the bridge over the French Broad River — one of the oldest rivers in the world, likely formed even before the Appalachian Mountains. Watch for Osprey following the river as well as Cedar Waxwings, Cliff Swallows, Baltimore Orioles, Blue-grey Gnatcatchers and Common Grackles. At the far end of the bridge, follow the white 2”x6” paint blazes of the A.T. off the right side of the road down to the adjacent road below. Take this road upstream and cross the footbridge. The road will turn into a trail and follow along the river. This is all the A.T., so the white blazes will be your guide. Those who like to fish may find Musky, Smallmouth Bass, White Bass, Spotted Bass, Walleye and other fish in its depths. Keep an eye out for Mergansers and Wood Ducks and, occasionally, a few shorebirds moving along the river. Listen for Warbling Vireos in the treetops with their familiar phrasing, “here I am… over here… in the tree.” Be sure to look and listen for Yellow-throated Warblers in the trees along the river. The Trail turns left up onto the face of the mountain and into a series of switchbacks. You will get an up-close and personal look at the geology of the area as you ascend the steep trail to a high point overlooking the whole valley. The highlight of this part of the Trail is rock, as the root of the magic in the Hot Springs area is geology. Most of the rock in and around Hot Springs is sedimentary, meaning it formed in layers when silt or sand or other particles settled. The Appalachian Mountains were formed when continents collided, and the huge pressures folded the rocks and forced them up. In Hot Springs, this folding is particularly extreme with layers folded back and forth onto themselves, turned on-end and even upside down. As you ascend the rocky hill, take a close look at the rock and see if you can see any of that story written in the rock. As you climb the mountain, you will get a great view into the treetops, providing another great chance to view Scarlet Tanagers, which are maybe the brightest of all the red birds in North America. As the trail nears the top of the knoll, you will encounter a few rock promontories. These are great for resting and having a snack while watching the endless passage of the ancient river below. Here you might view one of the unusual botanical specimens around Hot Springs, the Table Mountain Pine. You can identify it by its apple-sized pine cones which are extra prickly. It is typical to find these on the rugged and dry rocky slopes around Hot Springs. These ecosystems are a contrast to the rich moist northern facing coves in the area and host many usual plant and butterfly species and even prairie grasses. This is a great place to watch the vultures soaring on the thermals which rise from the south facing slopes on the river banks. And keep a special eye out for Old Crooked Wing — or O.C.W. for short — a locally famous vulture with a very noticeable humped up right wing who frequents the area. As you watch the thermals, you may see a Broad-winged Hawk or a Cooper’s Hawk too. Continue on the A.T., look for a trail intersection, and take the left fork. You will descend via the Silver Mine Trail into Silver Mine Valley. The knowledge about silver mine has been lost to history — or maybe it’s a myth — but keep your eye out for anything that could be a lost mine and notify the Hot Springs Mountain Club if you find it.As you descend into the valley, you will notice the contrasting forest of a northern slope. The scrubby oak and pine of the southern exposed rocky face give way to a moist forest with large white pine, hemlock and poplar with herbaceous plants lining the trail. Listen for Pine Warblers in the treetops, their sharp “chip chip chip chip chip chip chip” is very similar to a chipping sparrow. Listen for Wood Thrushes with their fluty haunting melodies at dusk and dawn. If the vireos are singing from the treetops, this is a good place to try to learn to discern Blue-headed Vireos from Red-eyed Vireos, as both are likely present in the spring and summer. They both share the familiar forest phrase “here I am… over here… in the tree…” but the Blue-headed Vireo could be imagined having a slow southern drawl (they must be the local ones). Take the little wooden stair down to the valley floor and continue left — the loop is almost complete. Here you might find salamanders along the creek. If you need to move one to a safer place, make sure you moisten your hand before you pick it up to protect it from the oils on your hand. In April and May, listen for Louisiana Waterthrushes along the creek. The Hot Springs Mountain Club was formed to build and maintain trails near Hot Springs, North Carolina. Learn more and become a member today by clicking here.